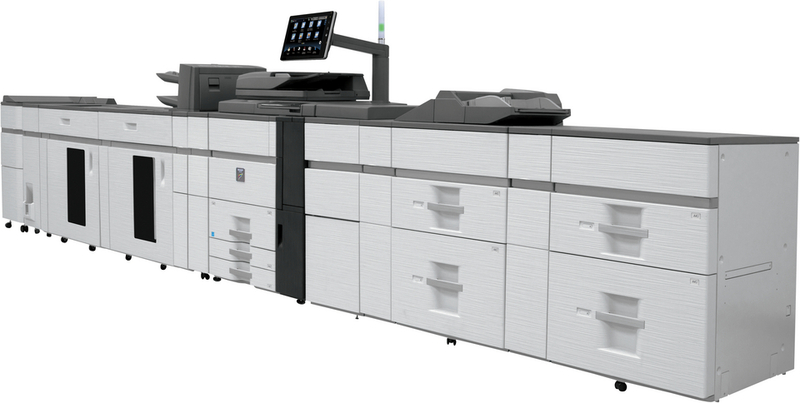 The MX-7500N Pro Series Colour Production Printing System is ideal for any in-house or commercial production environment. 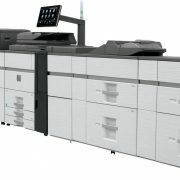 The extensive in-line finishing options, powerful resolution enhancement technology (RET), superb quality across a wide range of media, low maintenance operation and an optional EFI Fiery Controller all combine to deliver greater versatility, advanced productivity, professional workflows and precise colour control. 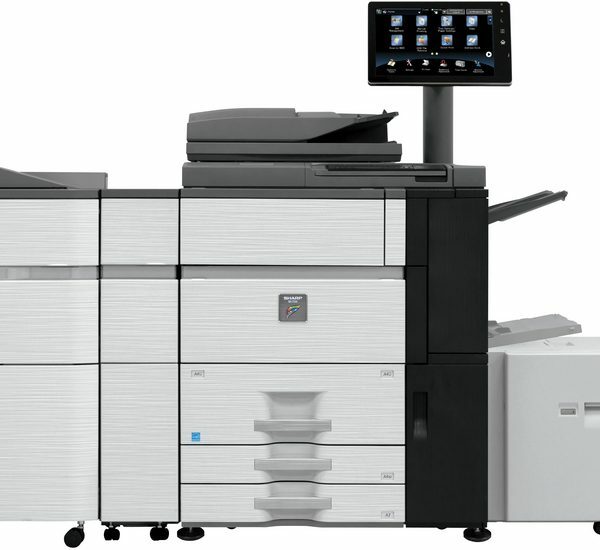 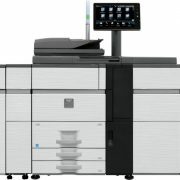 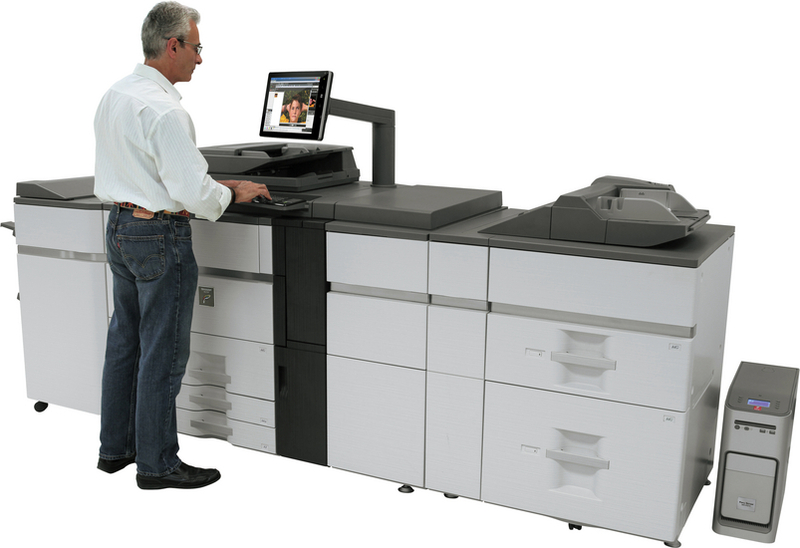 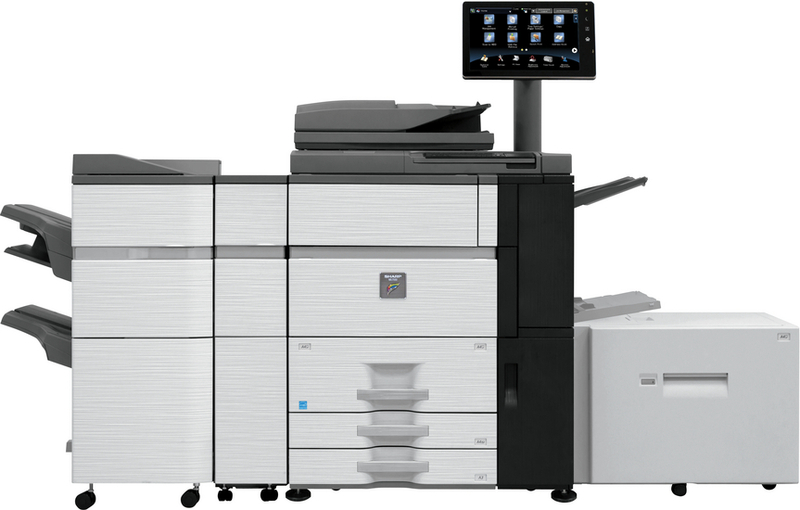 Capable of up to 75 pages per minute in colour and black & white with 1200 x 1200 dpi resolution, fast 75 opm scan speed and standard 150 sheet DSPF – this powerful production-class printing system offers features such as the large 15.4″ colour touch-screen, extra-large paper capacity and intermediate toner hopper – perfect for long runs and continual use during toner replacement. 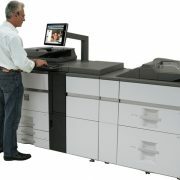 The Fiery Server option delivers amazing precision, RIP with fast speed and produces accurate colour every time and there’s also an impressive range of high volume professional performance and finishing options such as the Multi Folding unit, SmartPunch and Booklet Maker options; plus the document management features and standard multi-layered data security solutions.